Wisconsin homeowners with healthy, valuable ash trees should consider treating the trees with insecticides this spring to protect against emerald ash borer (EAB). The pest is currently the most damaging threat to trees in the state, killing more than 99 percent of the ash trees it infests. Infested ash trees have been attacked by woodpeckers looking for larvae to eat. Woodpecker damage during the winter is often the first visible sign that an ash tree is infested, so it is important to examine your ash trees during cold months when leaves are absent. Now is a good time to consider protection with insecticides: insecticide treatments are usually applied between mid-April and mid-May once leaves begin to return. Treatments on already-infested ash trees are more likely to be successful if the trees exhibit only low or moderate levels of woodpecker damage. 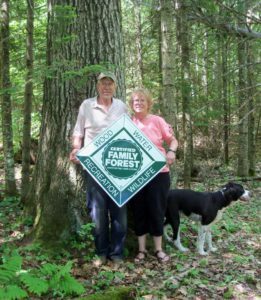 Emerald ash borer has become so widespread that homeowners should consider treating valuable ash trees no matter where they are located in Wisconsin. The highest risk of EAB-infestation is within quarantined counties or within 15 miles of a known infestation. 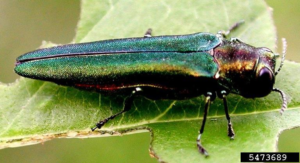 Outside of these high-risk areas, the danger of ash trees becoming infested with EAB is probably lower, but it is widely believed that there are additional, undetected EAB infestations within the state. A map of known EAB infestations can be found at the Wisconsin EAB website. Location isn’t the only consideration when deciding whether to begin insecticide treatments. 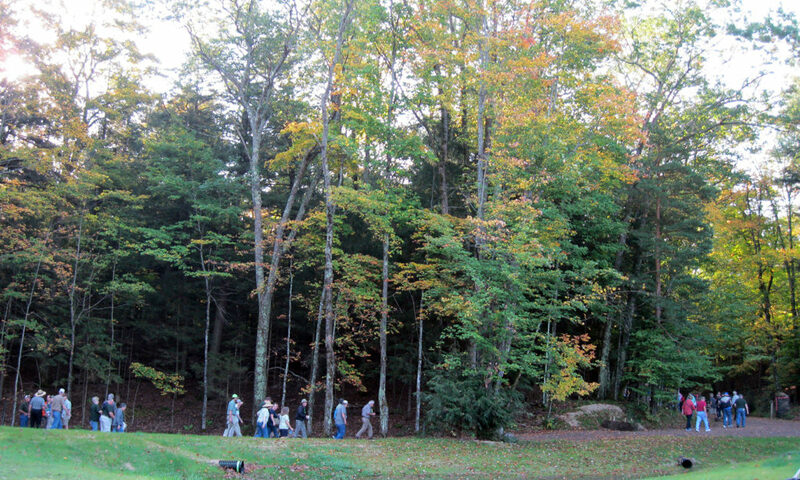 For example, such treatments are not economically practical for woodlot ash trees; they would need to be repeated every 1-3 years for the rest of the trees’ lives (frequency of treatments will depend on the product and method used). If EAB has been found locally or if you see any of the signs or symptoms of an EAB infestation in your ash trees, search for information online or seek advice from a tree care professional. 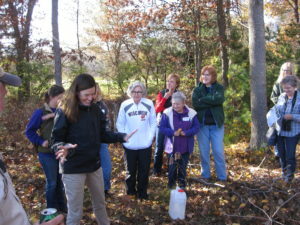 You can fund a certified arborist at the Wisconsin Arborist Association’s website. Other businesses also conduct EAB treatments. Some insecticide products can be applied by homeowners but others must be applied by a certified professional. Review the available options before selecting an insecticide and treatment method. 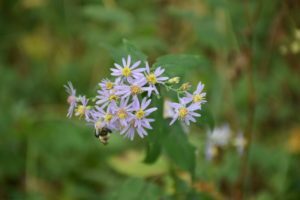 Insecticide information can be found on the Wisconsin EAB website and EAB Information Network website. Only ash trees need to be protected against EAB. Mountain ash and prickly ash trees do not need protection from EAB because they are not true ash trees and are therefore not attacked by the insect. Determine whether the tree is worth treating. 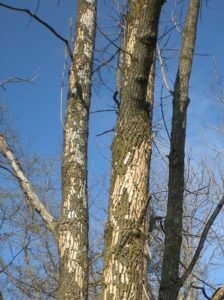 Some ash trees are too heavily infested to save or have structural or health problems that make them poor candidates for insecticide treatment. Trees displaying large amounts of visible woodpecker damage may be too infested to be saved with insecticides. Consult a certified arborist for a professional opinion. Landscape trees improve views, increase property values, provide shade and cooling, and contribute to the quality of life in a neighborhood. Weigh those benefits against the expense of a treatment. Consider the cost of removing or replacing trees. You might be able to treat your ash tree for more than a decade yet still spend less money than it would cost to remove it. The cost of an insecticide treatment will depend on tree size and the product being used. Some products are applied annually; others are applied every two years. Check the credentials and insecticide applicator certification of any business you hire to treat your ash trees. Adult EAB beetles present during the summer. The DNR Forest Health Program just released a new oak wilt video to educate the public about this deadly fungal disease that kills oak trees. 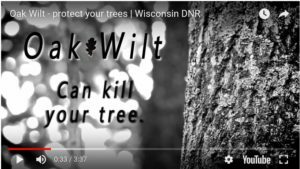 In addition to the 3.5 minute video, a 30 second video trailer is also available:, each video may also be accessed from the Wisconsin DNR’s oak wilt webpage. The videos, which are hosted on YouTube, may be shared through any networks of professional and public contacts who may benefit from viewing this resource. Please post the video on your organizational websites as an additional information source. Promotion of the videos is underway, including print ads in newspapers in several northern counties, DNR Facebook page posts, and an informational flyer distributed in northern counties. If you are interested in distributing flyers, please contact me or Jodie Ellis at Jodie.Ellis@wisconsin.gov for copies. 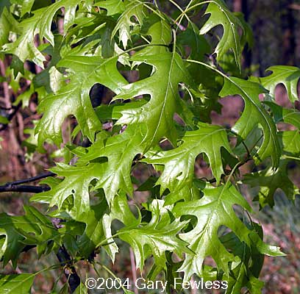 Contact your regional forest health specialist for more details about prevention, detection, and management of oak wilt.